This is a species of fish that was introduced to the country via the aquarium trade from the Thai peninsula (or possibly from South Asia). Being a voracious feeder preying on smaller fish, this fast grow species is quite exciting as a gamefish. Through unknown circumstances these fish ended up in one of the country’s largest lakes, Laguna Lake, and has established itself quite well. These fish can be caught now all over the lake on a variety of lures and live bait. One of the local favorite baits for catching large knife fish is live Ayungin, or Silver Perch. 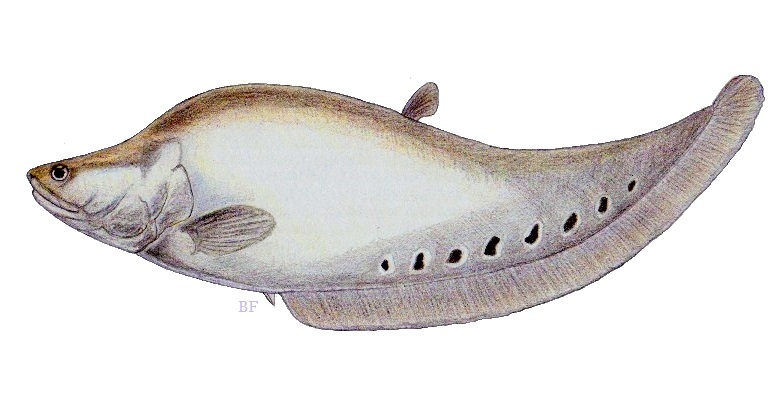 This fish are know to fed primarily at night, however they can be caught during the day as well. 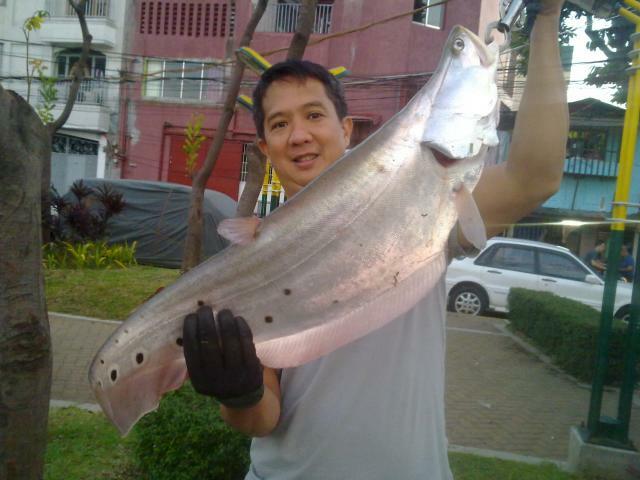 Knife Fish over 5kgs have been caught in Laguna Lake. Local fishermen in Laguna who raise tilapia and bangus in fish pens or others who fish the lake with nets complain that this species is depleting the native populations of smaller species. This has led to what has been known as the “Knife Fish Invasion” which the local media and various individuals affected condemn. They claim this species is near worthless as a food fish and that it destroy the native fish populations. Despite this outcry I remain slightly skeptical of the claims that this fish will wipe out native species. Many people forget that such species as Tilapia, Snakeheads and African Hito are not native. Sonny caught these nice Knife Fish in Sta. Cruz while fishing in Laguna Lake using live fish as bait. Posted on December 7, 2012, in Knife Fish. Bookmark the permalink. 2 Comments.